All Preston Place 01 homes currently listed for sale in Highland Park as of 04/21/2019 are shown below. You can change the search criteria at any time by pressing the 'Change Search' button below. 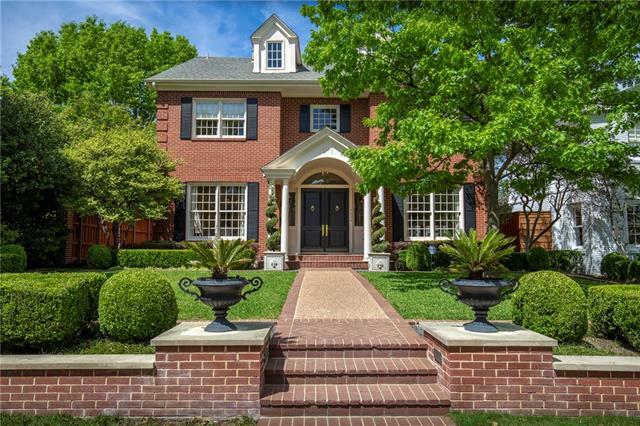 "Sitting above street level, this elegant Georgian home showcases a well thought-out central hall plan with beautiful formals, an open kitchen, butlery, wet bar and soaring 10' ceilings. The updated kitchen is an entertainer's dream with an oversized island, quartz countertops, stainless steel appliances plus a breakfast room for your family to gather. The family room overlooks the outdoor kitchen, covered patio and heated pool and spa. Don't miss the putting green in the side yard! All bedrooms "